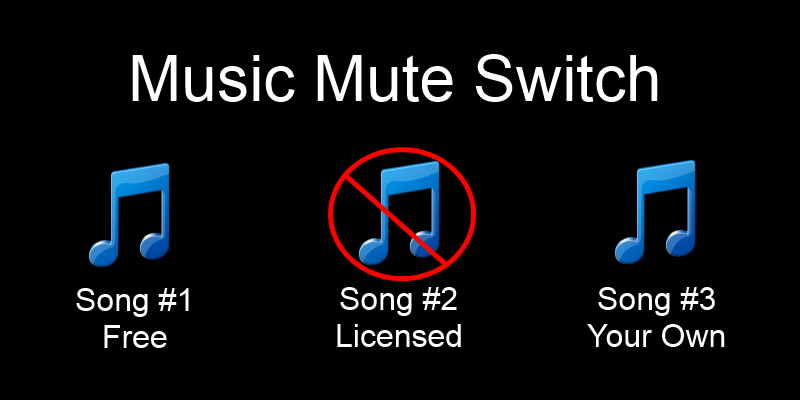 This script allows you to mute certain pieces of music in the game using a switch. This is useful when your game contains copyright music that prohibits derivative works from using them, such as video streams. In the configuration, set the ID of the switch that you wish to use to control the mute button. When the switch is turned ON, muting will occur. In the mute list, type in the names of the files that will be muted when the mute button is enabled.